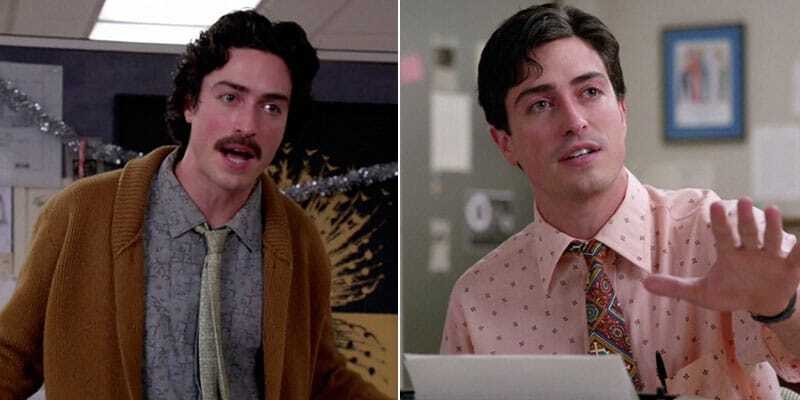 When our favourite gentleman’s club took to the small screen, it wasn’t long before an office-orientated style revolution started to simmer within menswear. What started with a simple paisley pocket square soon evolved into double-breasted suits, spit-shined dress shoes and scarves draping around our lapels. 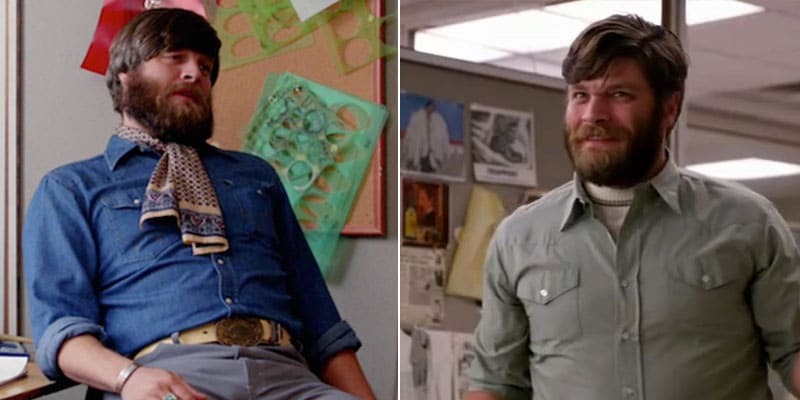 We started actually enjoying work wear again and, in part, we have our favourite ad-men to thank for that. There wasn’t a gent around who didn’t envy the open-office-bar-before-noon scenario or the seemingly bottomless jars of pomade, long lunches and the occasional client golf day. Not only did we seriously consider the functionality of a futon in the office, we began to revaluate our sense of self when it came to suiting and booting up in the Monday to Friday grind. 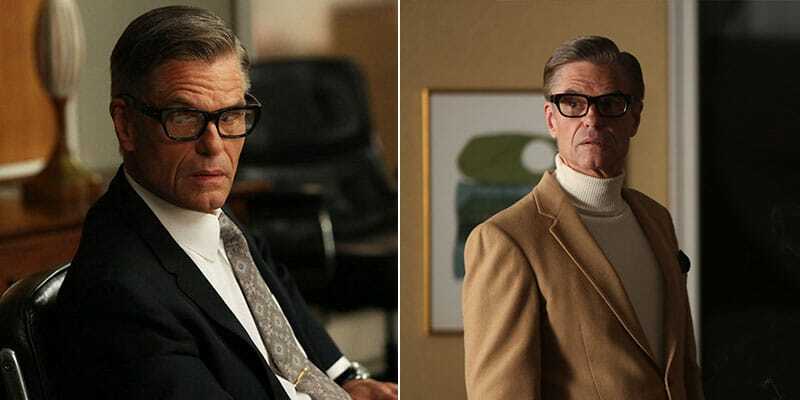 In a bid to pay homage to the best in boardroom and those whom arguably re-wrote the rigid rulebook by dappering up the dress code, here are a few timeless style cues we won’t be forgetting anytime soon. Boasting a wardrobe palette that’s as blunt as his pitch, Don’s easily achievable style is one to covet. 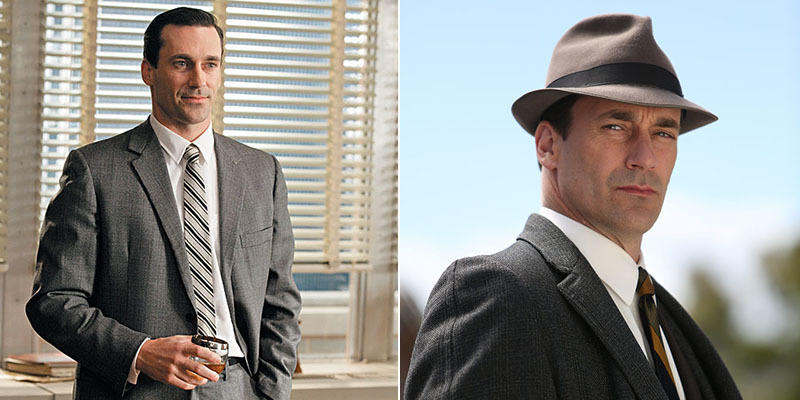 Channel your inner Don Draper by neutralising your suit palette. Keep grey marle, tweed, navy, black and brown on rotation from Monday to Friday, bound to make sure your style doesn’t feel stale by happy hour. Ginsberg is the quintessential anti-office dweller. Often sporting a floral shirt, cardigan or mustard roll neck, Ginsberg’s signature is his suitless appeal. 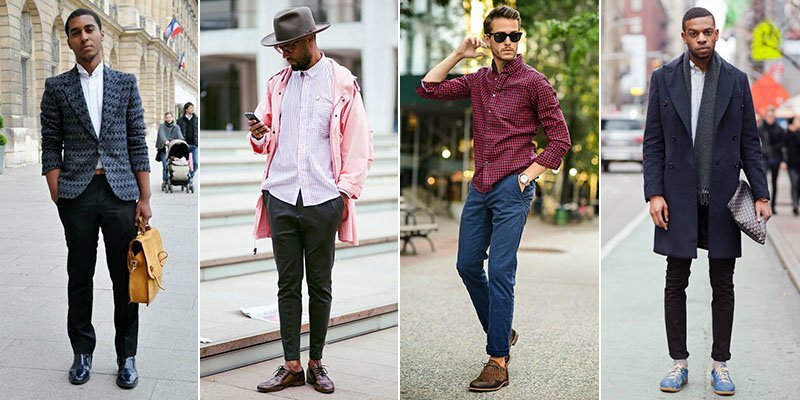 For those who have the luxury of creative dress code, be sure to utilise it, without sacrificing your professionalism and don’t shy away from pink. 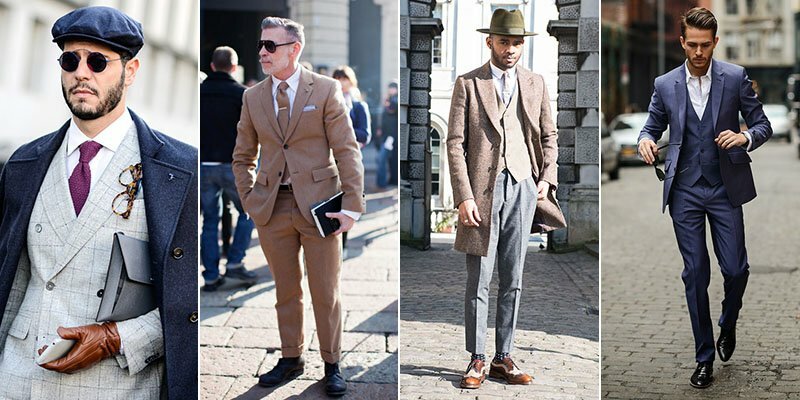 Try pairing a neutral pair of straight slacks with a statement shirt or quirky vest. How’s that for sense of self? 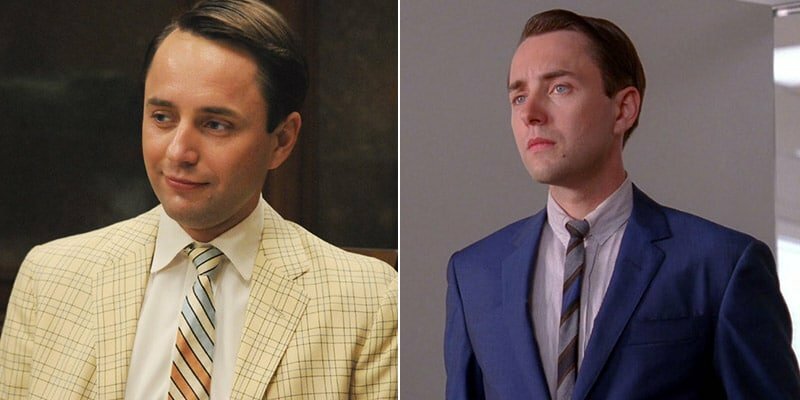 Always the exhibitionist, Pete Campbell’s vast and varied suit collection is something to be admired. 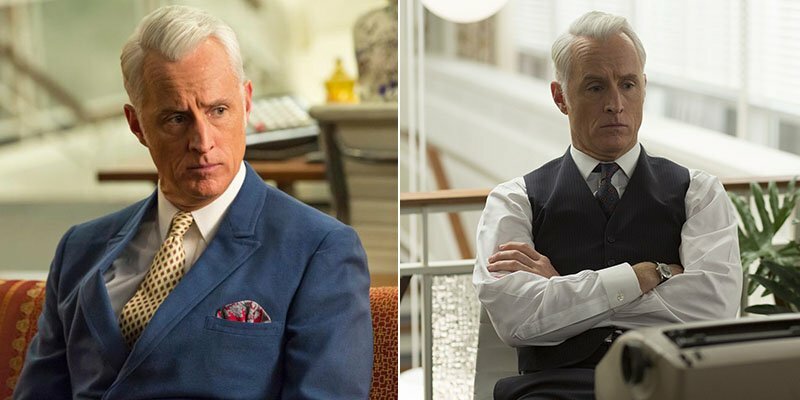 From his tweed sports jackets to his eggshell blue and pale yellow suits, Pete’s ability to take chances makes him a sartorial star in our books. 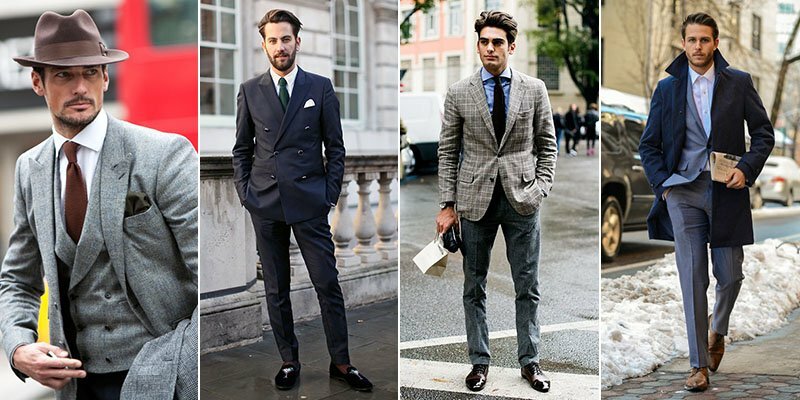 Inject life back into your work wear with a statement tie or wash of colour. Much like Ginsberg, Stan doesn’t confine to the usual suited and booted ensemble. With a penchant for roll necks, neutral vests, paisley and a full-beard in the office, Stan’s self-assured style has us green with envy. If you’re going to sport a full beard, do so with pride but keep that facial forestry tidy. 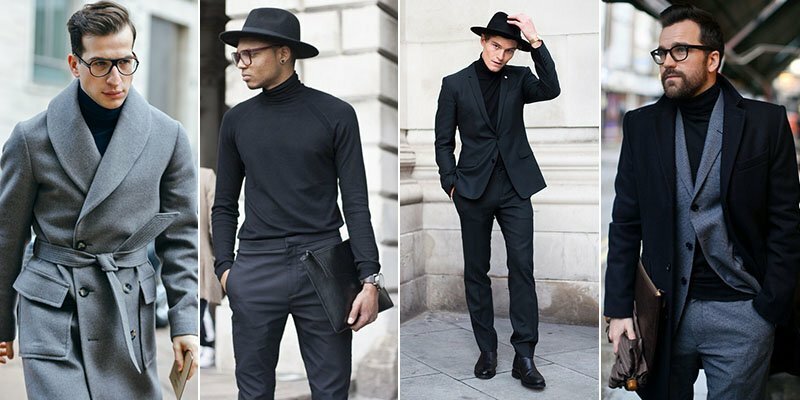 The roll neck adds an element of classicism to an otherwise bold and off-duty look. Seriously, the man can do no wrong. 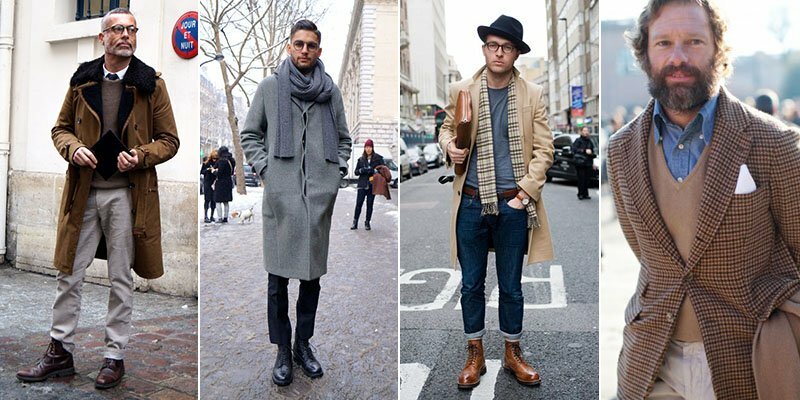 All about the accoutrements, Rodger’s full coat, fedora and scarf get-up even makes the commute to and from work look dapper. If you’re going to go full Sterling and try your hand at a three-piece suit, pay special attention to the finer details without over embellishing. Try sporting a simple pocket square with a classic grey pinstriped suit, preferably in a triple-peaked fold for added emphasis. 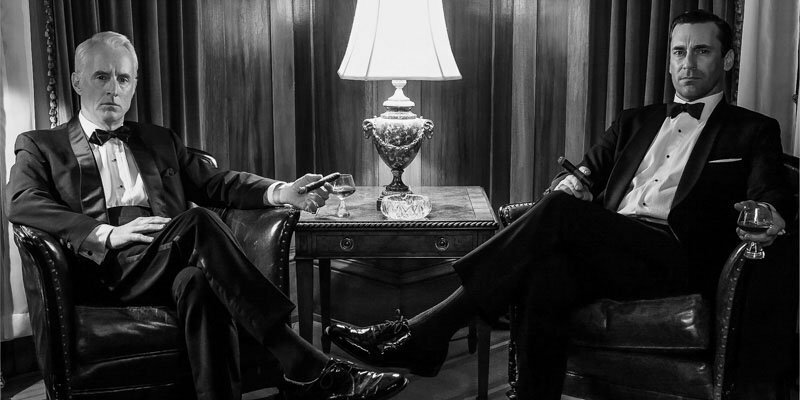 You’re the boss, after all. Rarely veering away from black, Jim’s style is both ‘fashion’ and feasible. Jim’s style signature lies in those trademark lenses that arguably put all others to shame. Opt for a pair of lenses that reflect your personality and professionalism in the office. 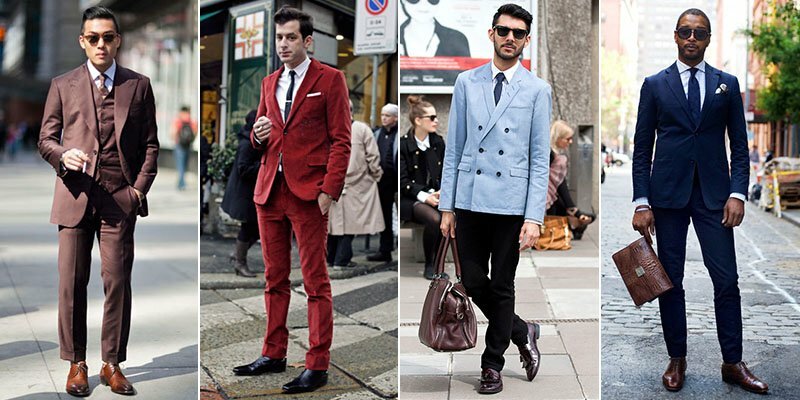 A great tailored suit and sharp, crisp monochromatic palette will ensure you’re always on point.